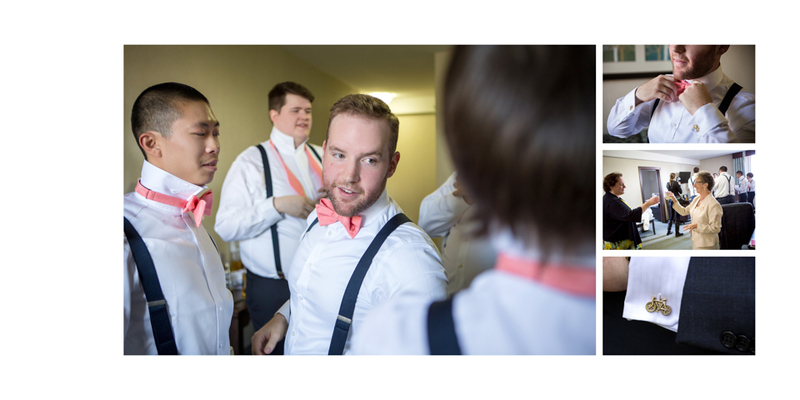 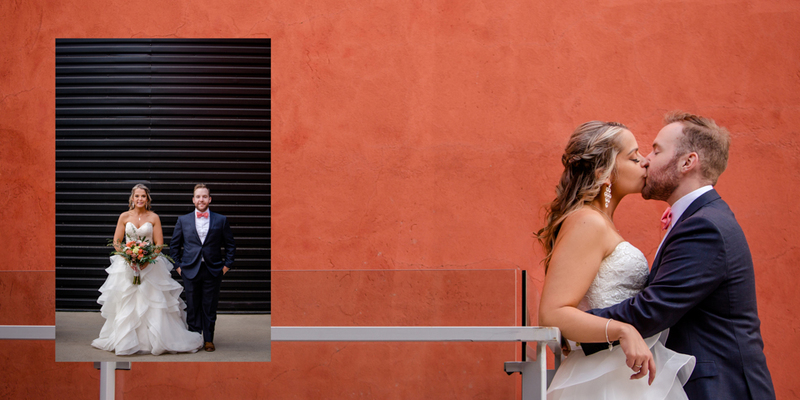 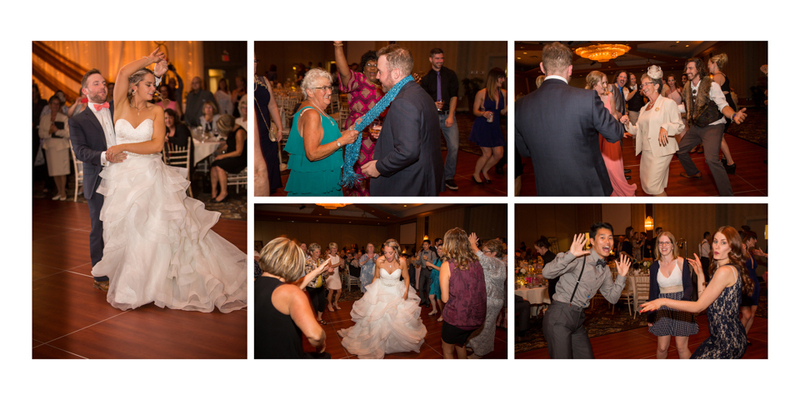 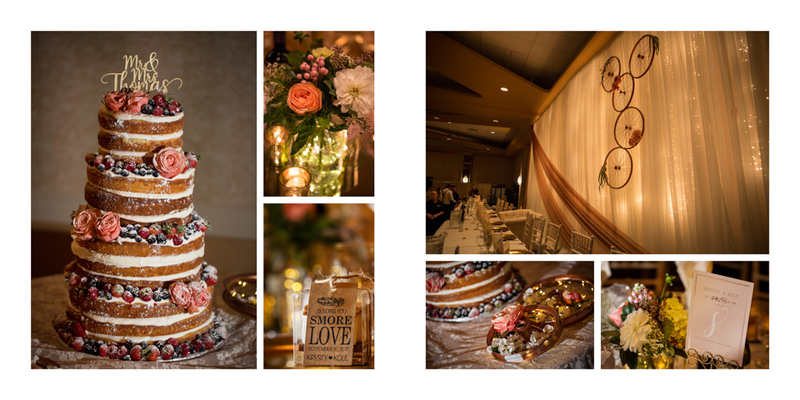 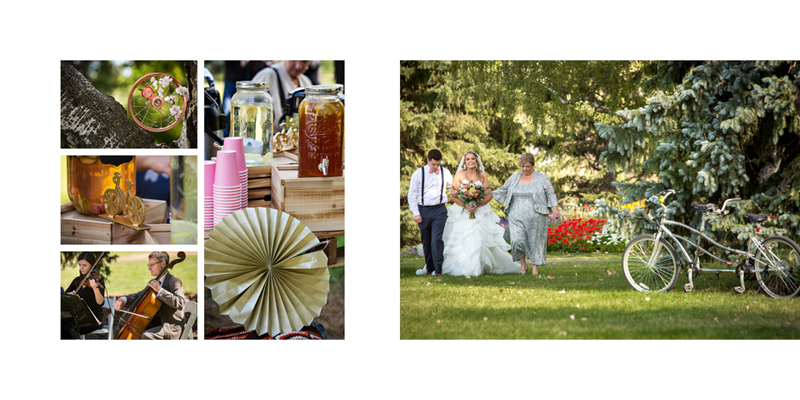 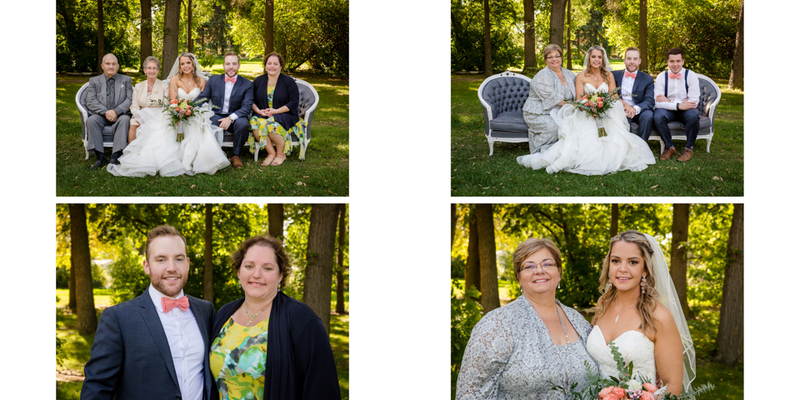 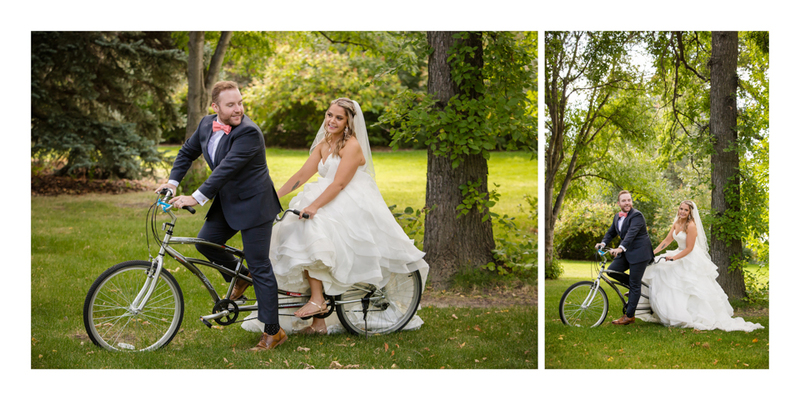 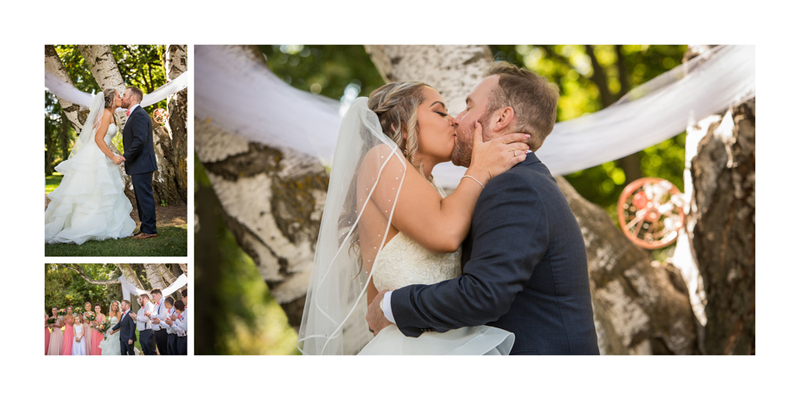 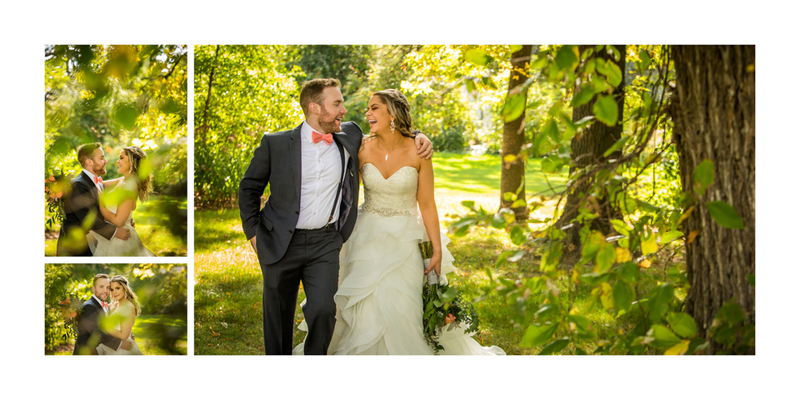 I decided I was due for a sample album update this year and chose to create a Lethbridge Research Centre wedding album out of Krysty and Kole’s wedding last September. 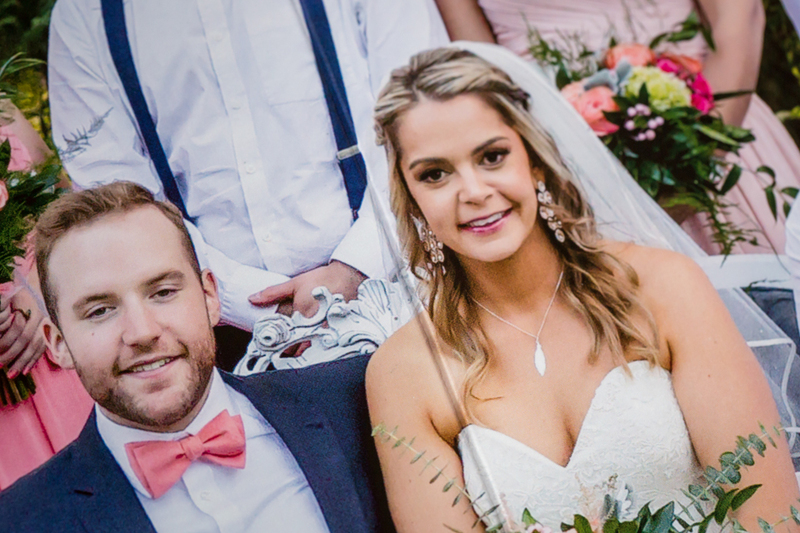 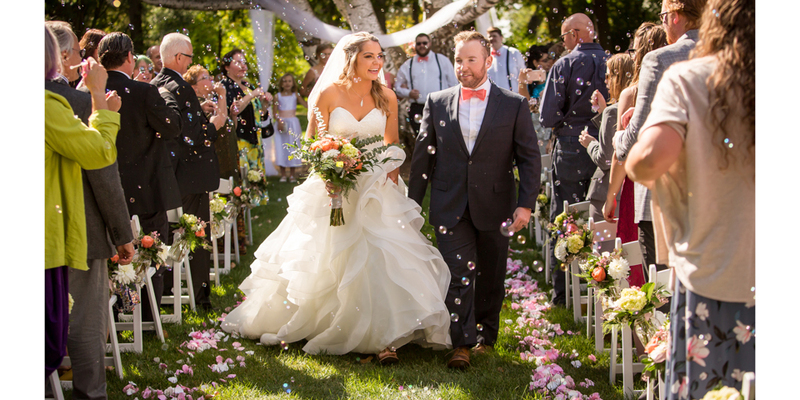 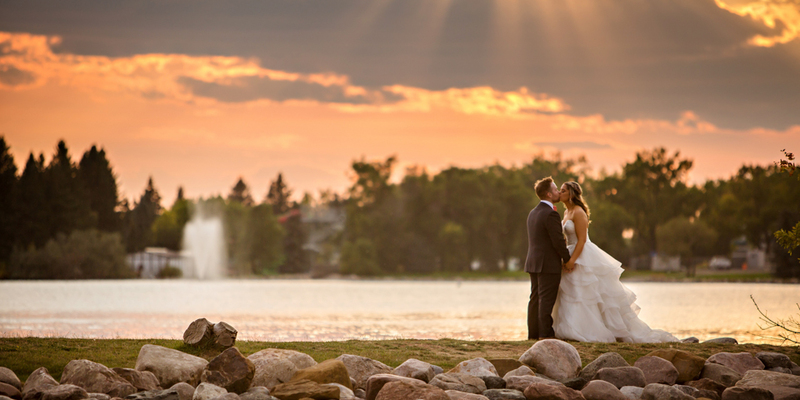 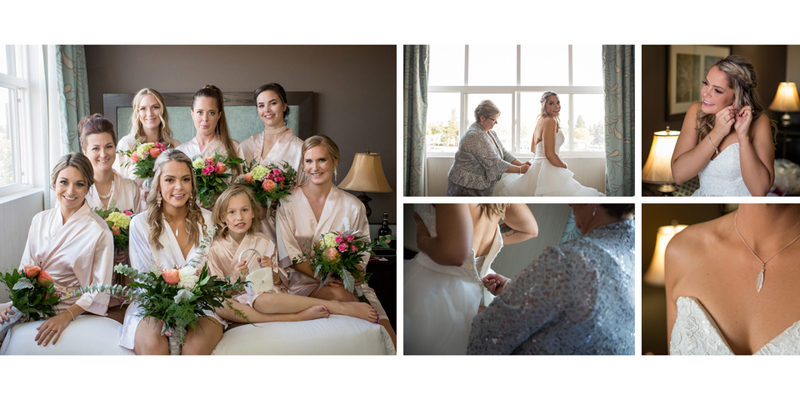 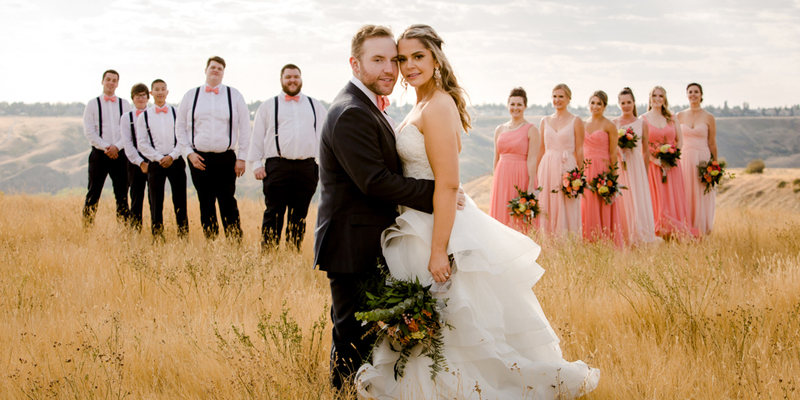 Their wedding was a perfect fit to show potential clients as it starts with both of them getting ready at the Lethbridge Coast Hotel in the morning and has all parts of the day until their sparkler exit at night. 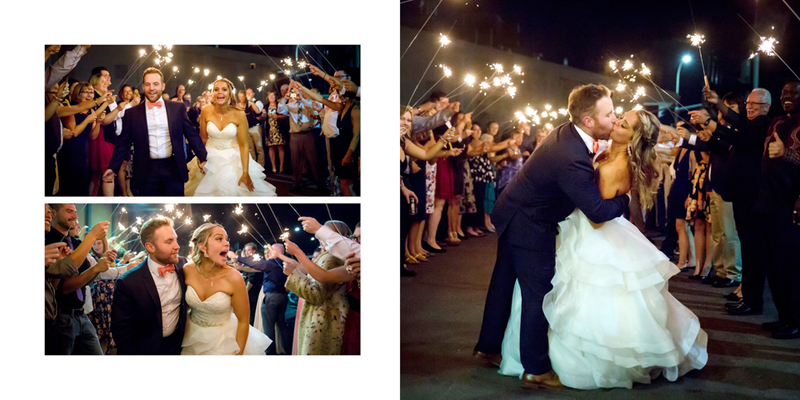 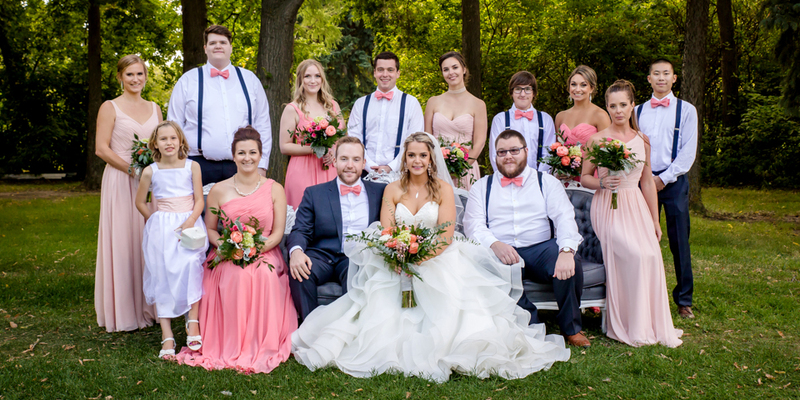 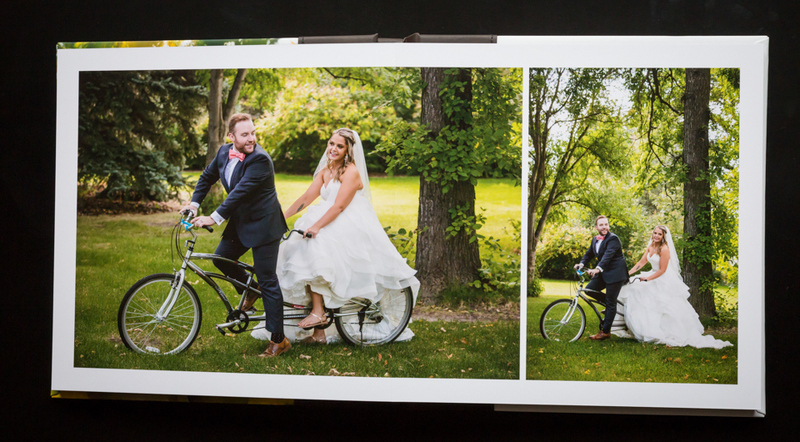 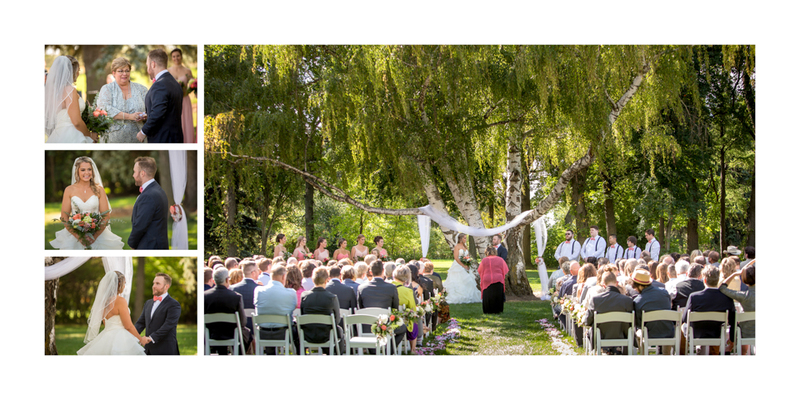 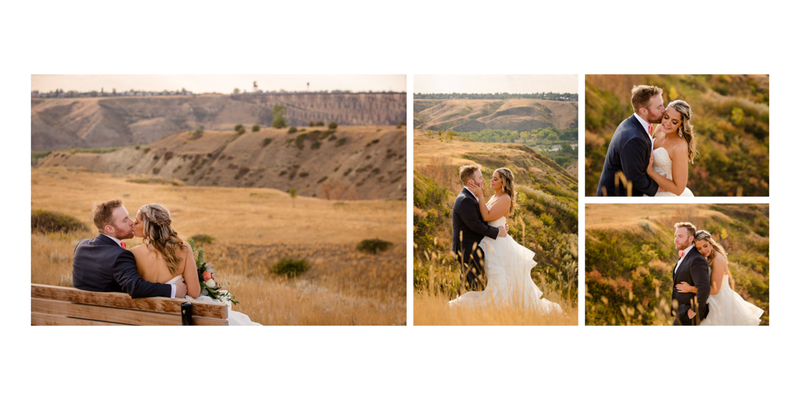 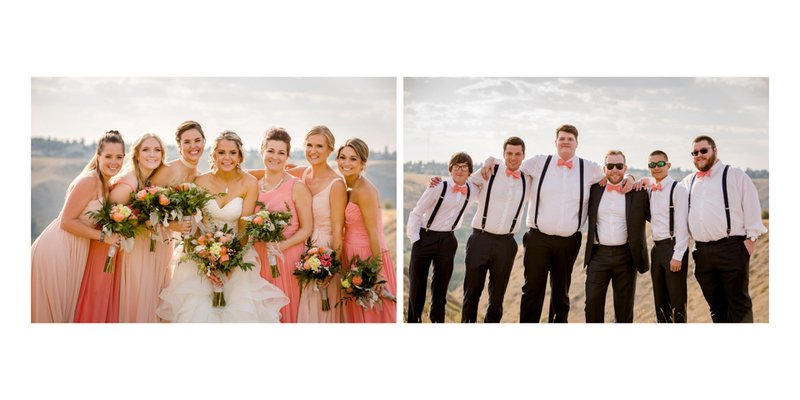 The full page spreads of the Modern+ Album were perfect for showing off large images of their ceremony at the Lethbridge Research Centre, full wedding party against the coulees, and sunset photos at Henderson Lake just before dinner. 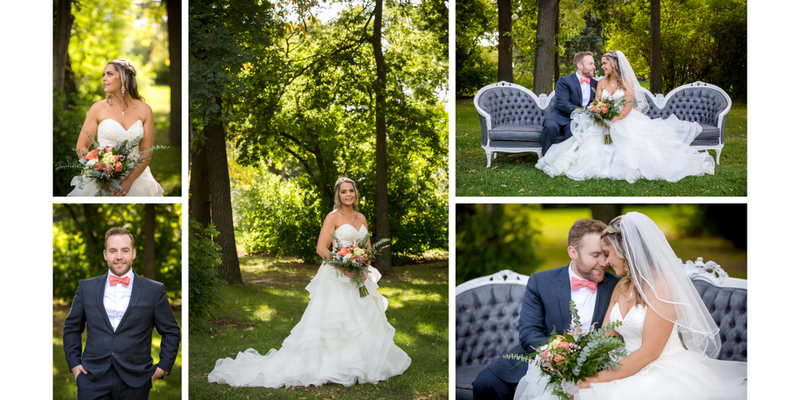 Choosing the spine colour was a tough choice as their wedding had a few gray tones, but the natural colours on the cusp of autumn would look amazing in a brown. 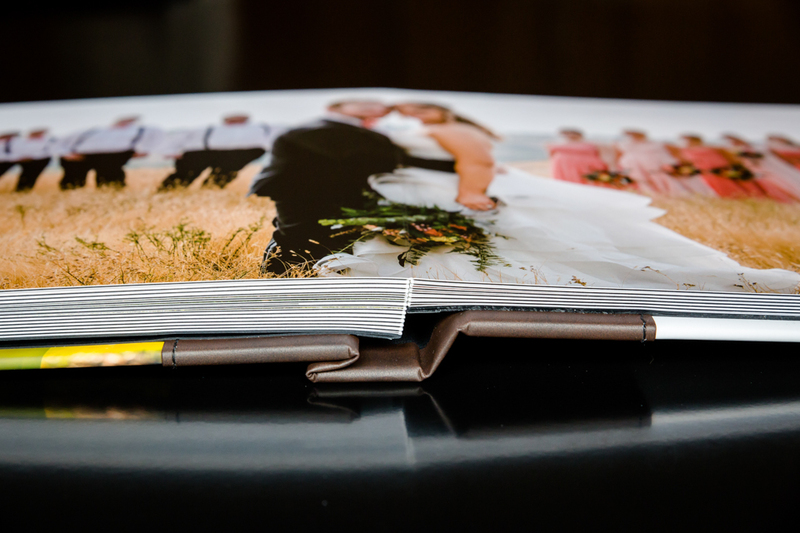 In the end I chose the dark brown leather spine and chocolate album bag to accent their photos. 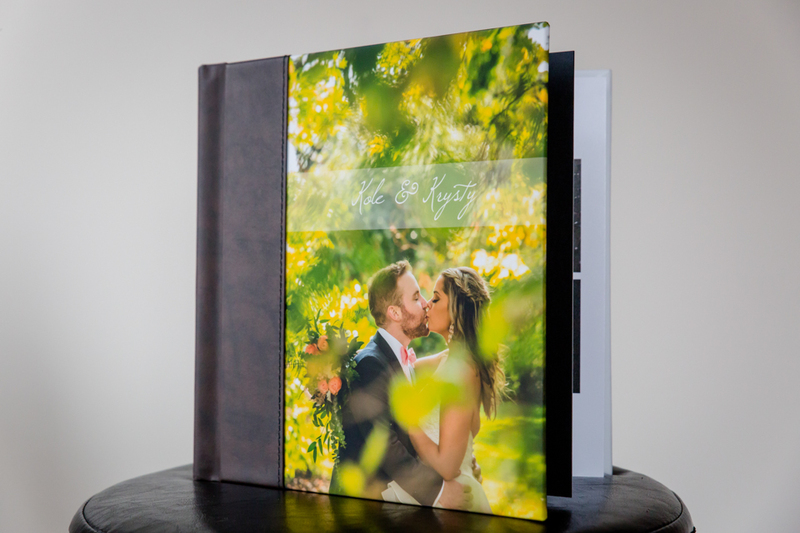 Thanks to the popularity of this album style and its really fast turnaround time, this year forward I’ll only be offering this style for weddings. 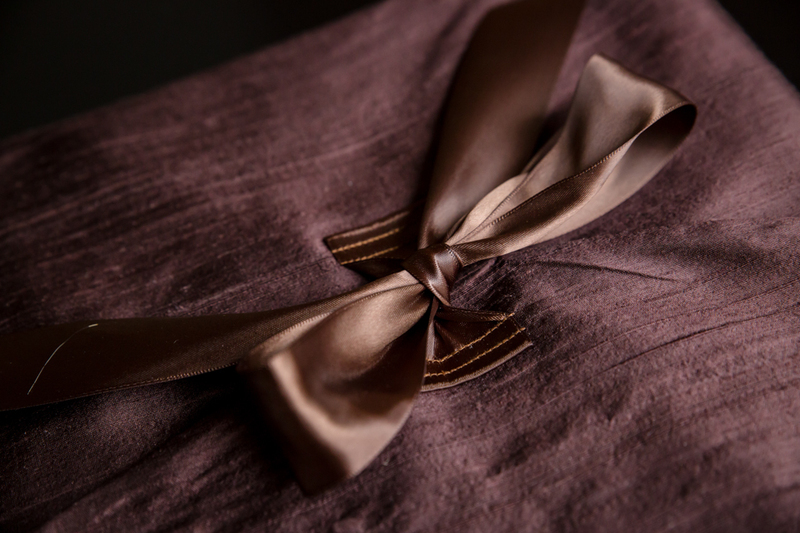 If you’ve seen the other styles and still prefer those, they are still available by special request! 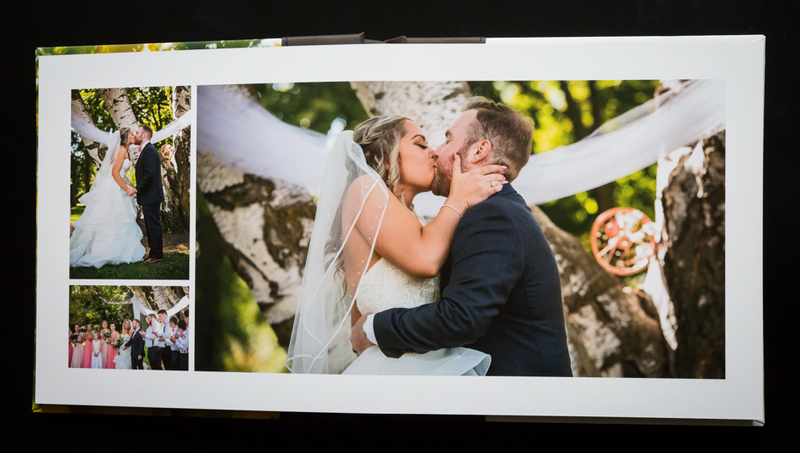 I love being able to include such large images in these albums. 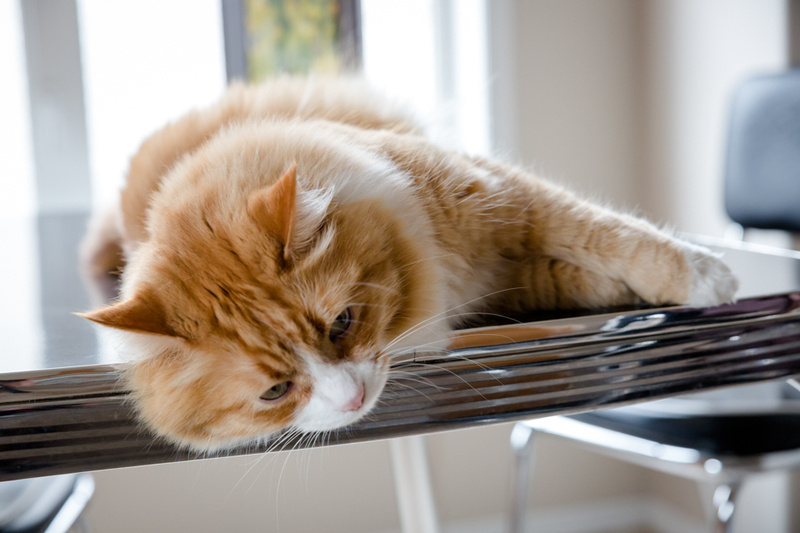 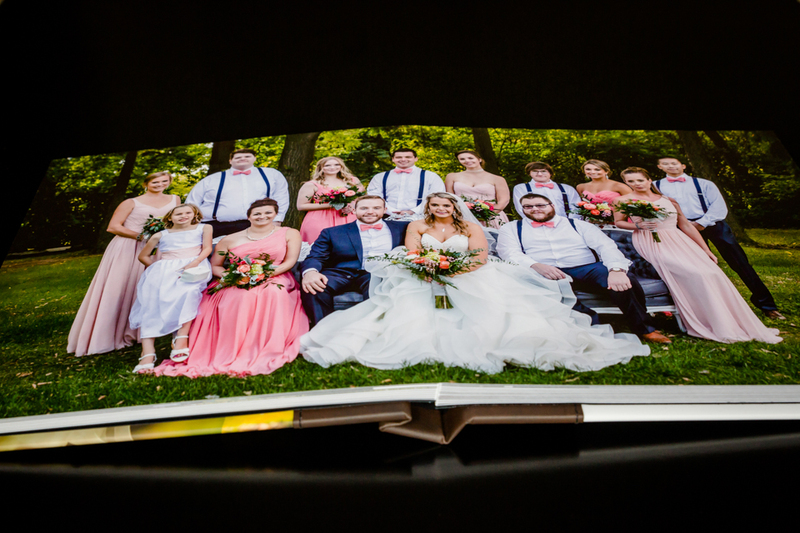 Images print over the middle seam so that there is no interruption in full spread photos. 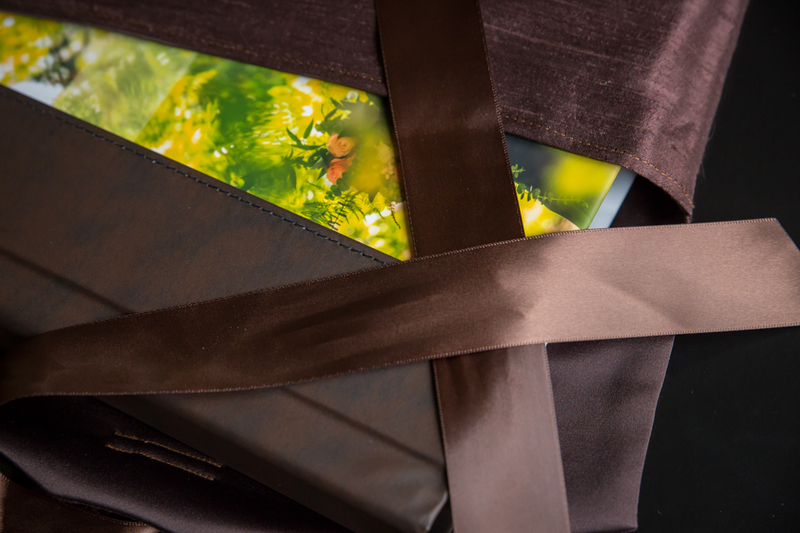 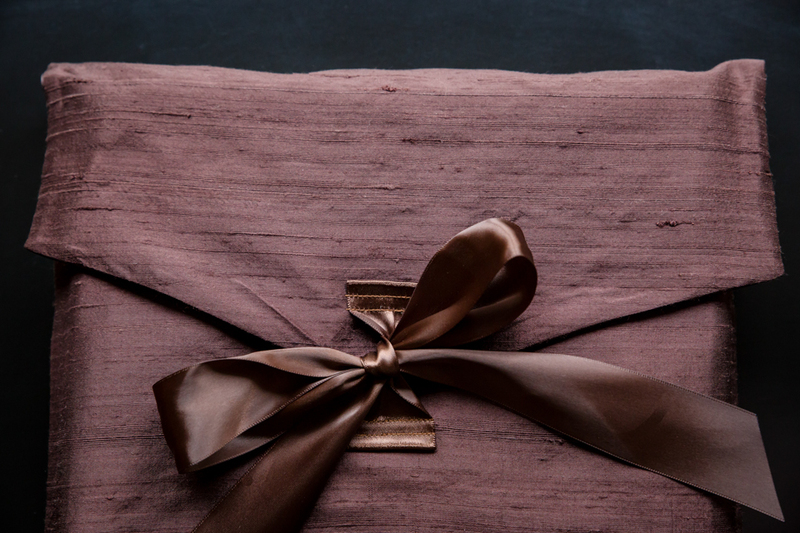 The binding method allows the book to lay flat when open. 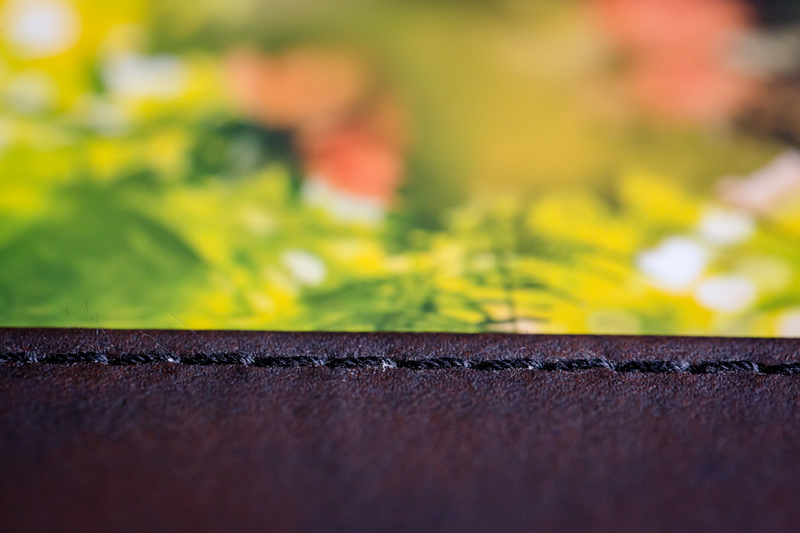 The leather spine is stitched rather than glued. 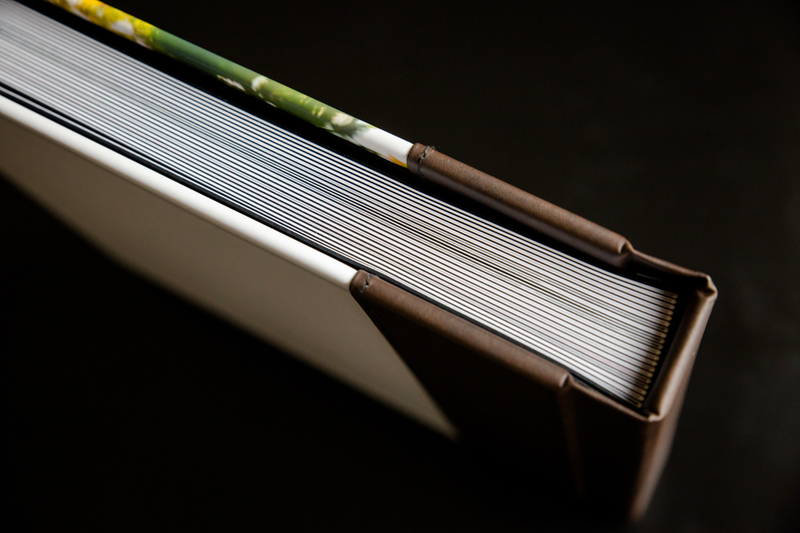 This is a 40 page / 20 spread album design. 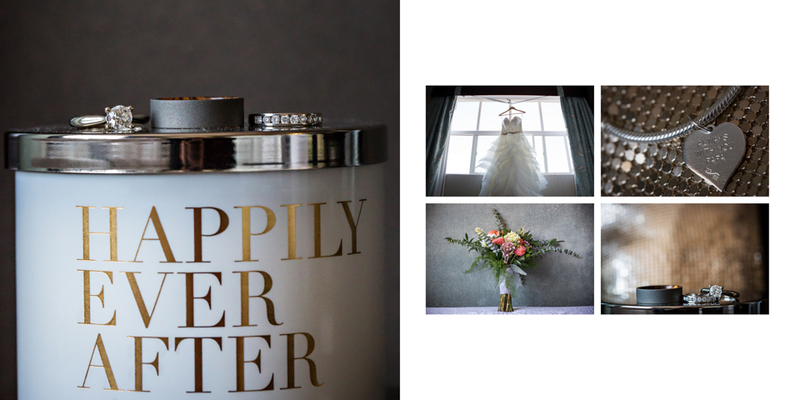 This is the first photography product with my new logo! 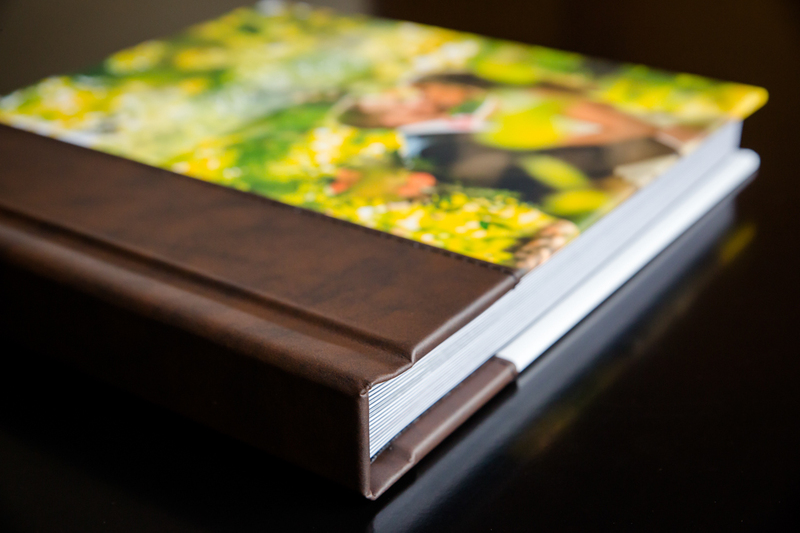 Would you like more information about the albums I offer? 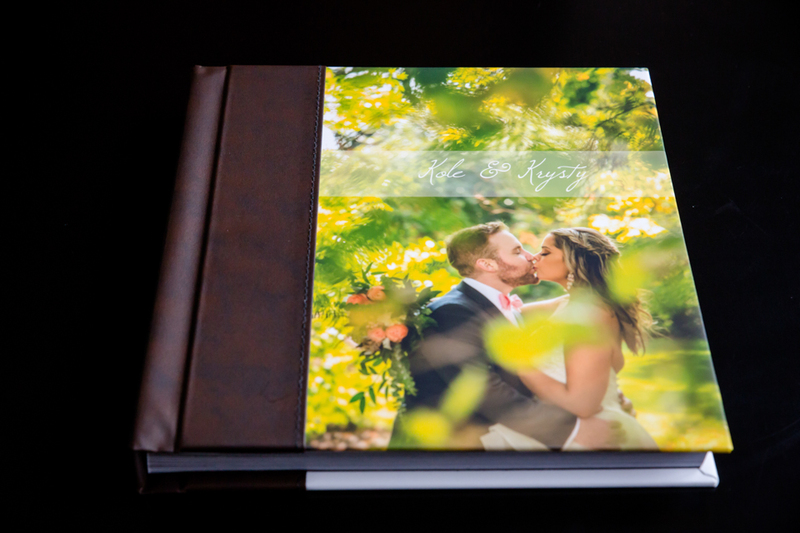 Check out my album tour then click here to contact me to get started a design for your own.